Kerala Public service commission conducted the Civil Police Officer exam on 22.07.2018 and the Women Police Constable exam will be held on 10.11.2018. Many candidates had attend the Civil Police exam. Lakhs of candidates are applied for the Women Police Constable post. This will be a golden chance for all candidates to get a Police Constable job under Kerala Government. 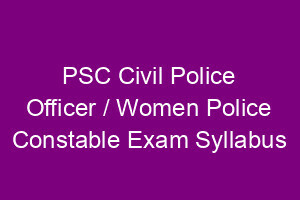 To get a better rank in Civil Police Officer / Women Police Constable exam candidates must follow the Syllabus and check previous question papers. Detailed syllabus of Police Constable exam are given below. Total 100 questions for 100 marks. Each correct answer is for one mark and one third mark will be deducted for each wrong answer. Duration of the exam is 1 hr 15 minutes. 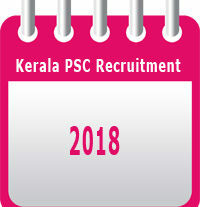 Kerala PSC will be prepared the seperate rank list for Civil Police Officer (Police Constable / Women Police Constable) Recruitment. 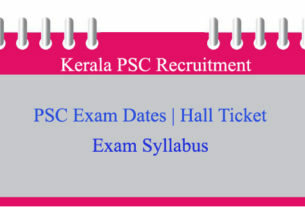 Detailed syllabus for PSC Civil Police Officer / Police Constable exam is shown below. 1. QUANTITATIVE APTITUDE: BODMAS, Number System, LCM and HCF, Average, Ratio & Proportion, Exponents, Fractional Numbers, Age related problems, Percentage, Simple interst and Compound Interest, Profit and Loss, Work /Distance and Time, Surface Area and Volume, Calendar , Clocks. 2. MENTAL ABILITY AND REASONING TEST: Calculation and Logic, Coding and Decoding, Classification, Synonym, Antonym, Letter and Number Series, Odd Man Out, Analogy, Common Sense Test, Alphabetic Arrangement of Words, Date and Calendar, Sense and Direction . 3. GENERAL ENGLISH: Grammar, Agreement of Subject and Verb, Confusing Adjectives, Correct usage of Articles, Prepositions, Direct and Indirect Speech, Active and Passive voice, Correction in sentences , Vocabulary, Gender, Singular and Plural, Synonyms, Antonyms, One word substitutes, Problem concerning Words, Idioms and their meanings. 4. GENERAL SCIENCE: Common Scientific facts, Important Scientific Phenomena and other Basic facts in the field of Science. 5. CURRENT AFFAIRS: Important World, National and Regional Events related to the Political and Scientific fields, Sports, Cinema and Literature. Facts About Kerala-Geographical Facts, Physical Features, Climate, Soil, Rivers, Famous sites, Renaissance of Kerala, Important Events/Movements/Leaders – Brahmananda Swami SivaYogi,Chattampi Swami, Sree Narayana Guru, Vagbhatananda, Thycaud Ayya, Ayya Vaikundar, Poikayil Yohannan(Kumara Guru), Ayyanakali, Pandit Karuppan, Mannathu Padmanabhan, V T Bhattathirippad, Dr. Palpu,Kumaranasan, Vakkom Moulavi, Blessed Kuriakose Elias Chavara. Facts About India-Geography of India, Physical Features, Climate, Soils, Rivers, Famous Sites – Demography, Social and Economic Development, Poverty Alleviation, Economy and Planning, History of India period from 1857 to 1947, Mahatma Gandhi, National Movement. Constitution of India and Civil Rights-Basic features, Citizenship, Fundamental Rights and Duties, Directive Principle, Union Government, Legislature, State Executive, Union Territories, Apex Courts, Comptroller and Auditor General, Public service Commissions and other Important Offices, Important Amendments, Rights, Right to Education, Human Rights, Human Rights Commission, Right to Information, Information Commission, Social Audit, Ombudsman, Women Empowerment, Women’s Commission, Legislation against Child Labour and Atrocities against Women and Scheduled Castes and Scheduled Tribes . Social Welfare Schemes and Measures– Andyodyaya Anna Yojana, Balika Samridhi Yojana, Bharat Nirman, Indira Awaas Yojana, Integrated Child Development Scheme, Jawahar Rozgar Yojana, Kudumbasree, Mahila Samridhi Yojana, National Food for Work Programme, NRDP, NREGP, Prime Minister’s Rozgar Yojana, Rural Development Pradhan Mantri Adharsh Gram Yojana, Samagra Awaas Yojana, Sampoorna Grameen Rozgar Yojana, Valmiki Ambedkar Awaas Yojana, Rural Landless Employment Guarantee Programme. Fundamentals of Computers – Internet Etc, Cyber Laws. Previous question papers for Women Police Constable exam are here. Candidates can download the question papers. 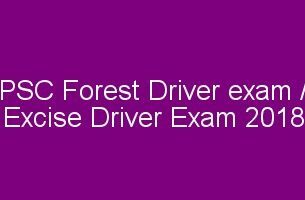 Previous question papers for Civil Police Officer Exam are here. Candidates can download the question papers. Candidates can download the Women Police Constable exam Hall ticket from psc website from 27.10.2018.